I found out that my sister was Oprah Winfrey’s personal Weight Watchers (WW) consultant by seeing it on her Facebook page. Facebook friend after Facebook friend started posting on my sister’s wall, congratulating her on her success, calling her an “inspiration,” and telling her that Oprah is lucky to have a consultant like her. When I saw all of this, I had a sinking feeling in my stomach. While neither my sister nor I were ever truly fat when we were younger (she was a string bean as a child and I was a naturally plumpish one), we both learned from a very young age that becoming fat was a bad thing. Becoming fat would mean that we were unhealthy, unattractive, and unlovable. Growing up in an upper-middle class suburb of Boston, appearances were important and body diversity was not celebrated. While our mother was as liberal and accepting as they come, she was very concerned about my and my sister’s weight. While my mom was not at all fat, I have memories of her dieting often and saying disparaging things about her own body. She didn’t allow sugar cereals or “junk food” like Twinkies or Cheetos in the house. And our food intake was monitored closely. While my sister didn’t end up becoming heavy until her mid-teen years, my weight started to become a “problem” when I was in grade school. Trips to the pediatrician were fraught with anxiety. Each year I would hear the disappointment in my doctor’s voice at the office and then, at home, my mom would talk to me about getting “healthy” and watching my diet. I remember first starting dieting in 6th grade when I convinced my mom to buy me SlimFast shakes. Other times I would try to cut out desserts, only eat salads, etc. However, with each meager weight loss, the weight would inevitably return. When I was in the 7th grade, my mom took me to Jenny Craig. By far the youngest client there, I was weighed each time I came to meet with my “consultant,” and she would tell me if I did well or did not do well. If I didn’t lose weight at a weigh-in, she would gently suggest that I was sneaking food outside of the pre-packaged Jenny Craig meals and snacks we would take home with us each week. I tried to follow the plan and did so for about three months until I finally succumbed to the inevitable and gave up. As my sister and I grew up, our weight struggles continued into our 20s and 30s. She was a chronic joiner and re-joiner of WW, while I tried low-carb diets and calorie counting. Each dieting attempt would result in weight loss initially, but after about a year or two, the weight would creep back up and sometimes be even higher than my original weight. My sister continued to diet, lose weight, regain it, and repeat until about nine years ago when she “finally” lost the weight (about 50 pounds) and became a “Lifetime Member” with WW. In addition, she decided to become a WW leader. That has been her career ever since. I took a different path. While I also dieted, lost weight, regained, and repeated, I decided to learn more about nutrition so that I could help myself and others. I went back to school, where I earned a master’s degree in nutrition and health promotion and completed the program to become a registered dietitian. Given my undergraduate degree in psychology, working with eating disorders (EDs) seemed like a perfect fit for me. While I had never had a full-out ED myself, I definitely had engaged in disordered eating from time to time. For many of my patients, their road to full-blown EDs started with dissatisfaction with their own bodies, pressure from loved ones/friends/doctors to lose weight, or trying to be “healthier.” I can empathize with all of these situations as I experienced them myself; for some reason, however, I never developed an ED. When a patient sits in my office and cries to me about how she just wants to be thin and loved and accepted, I remember my own similar feelings when I was younger. In other words, I can very much relate to what my patients are going through. As my sister and I progress in our careers, our views on food, weight, and the body are diverging. She continues to believe in and condone the idea that being fat is inherently unhealthy and the idea that the only way for fat people to be healthy is to lose weight by engaging in restricted eating (i.e. WW) and regimented exercise. I have been practicing Health At Every Size® (HAES®) and intuitive eating myself, as well as in my work with my patients. I firmly believe that weight is not an accurate measure of health, and that behavior, genetics, and life circumstances play a much larger role in health outcomes than simply what someone weighs. After years of the diet-lose-regain cycle, my weight has settled at a much higher point (one of the side effects of yo-yo dieting), while my sister continues to keep her weight lower by closely monitoring everything she eats, logging all of her exercise, and living with the threat of losing her job if she gains weight. Being thin has become a full-time job for my sister. Most of the people I know who have lost a great deal of weight (and have kept it off for over a year) spend a huge majority of their day thinking about, planning for, and worrying about their food and exercise. I remember reading an article in the New York Times about five years ago that focused on the National Weight Control Registry (WCR), a research study that follows individuals who have lost at least 30 pounds and have kept it off for at least a year. The article featured a husband and wife who had lost over one-hundred pounds each and had been on the WCR for five years. In order to maintain their weight, the couple engaged in a rigid regimen of diet and exercise. Both of them not only exercised for a minimum of two hours per day, they also weighed and measured every morsel of food they ate, logging it into a food diary. They severely limited not only their calories, but the types of calories they were eating (e.g. low carb, no desserts). The wife herself said “it’s pretty easy to get angry with the amount of work and dedication it takes to keep this weight off,” but the alternative (i.e. gaining the weight back) was not an acceptable outcome for her. As an ED specialist, it always struck me that while these behaviors would be discouraged for someone who was “normal” weight and seen as obsessive and imbalanced (a.k.a. disordered), they are encouraged for fat individuals and applauded when they “keep it up.” It should come as no surprise that many of these people choose careers that focus on weight/food/fitness (e.g. weight loss specialists, health coaches, and in some cases, personal trainers), as these jobs help these individuals continue to stay focused on maintaining their weight. For the most part, my sister and I have agreed to disagree. We try to avoid talking about weight/body/food around each other, as it is a huge trigger. While I love my sister, it’s been hard to be around her. Sure, there is some jealousy there – it’s no fun to be the fat sister when our society vilifies fat everywhere you look. Fat stigma is real. Aside from the weight, my sister and I also look a lot alike, so the comparisons are inevitable, which is tough. My sister is the exception to the weight-loss/regain rule, which makes me feel like a “failure,” since I am fat. She also gets a lot of respect and admiration from peers, friends, and family. They will often seek nutrition advice from her instead of me, despite my education and training in the field. My sister never went to school for nutrition and has no dietetic training, but because she is a weight loss “success” story, she is the person everyone goes to for nutrition advice. Conversely, even though I have more than three years of nutrition schooling and training and have been a practicing dietitian for six years, the fact that I am fat automatically means I don’t know what I’m doing. As I wrote about over a year ago, my sister began to appear in two different commercials advertising WW’s consultant program. For nearly two months, every time I turned on the TV, I would inevitably see one of these two commercials, touting the miracle of WW, how “It Works!” and selling the fantasy of weight loss. What made it all that much more disturbing was seeing my sister actively participating in this damaging message, spreading the lie that WW is actually helping people. Despite the company’s claim that members can expect to lose the weight and keep it off, to date there has been not one research study that has shown that WW (or any diet, for that matter) results in permanent weight loss other than for a very small percentage of people. WW leaders fall into that elusive 5% of weight loss maintainers. In other words, these people are an exception to the rule, not the rule. Out of the millions of people who see these commercials and decide to do WW, only a very small percentage of them will actually “succeed” by losing weight and keeping it off. How can WW claim “It Works!” when 95% of the time It Doesn’t!? WW itself has admitted that the success rate of its members is embarrassingly low, and the majority of their research is based on data that were collected over the span of a year. Um, nice try, WW! We all know that weight regain often occurs between one and five years post-diet. But of course WW doesn’t have data that go that far. What a surprise. If you think about it, it really all makes sense why WW as a corporation is a huge moneymaker. Its business model is built on the premise that the diet does not result in permanent weight loss for the majority of its members. Ninety-five percent of their members will regain the weight (blaming themselves instead of the diet, of course) and will rejoin, creating an unending cycle of profit for WW. If the program really worked, then WW would be out of business fast! They keep on having repeat customers because the product is faulty, but WW convinces the consumers they are “weak-willed,” and that is why the diet failed. What’s the result? Major profits for WW. Fast forward to fall of 2015. Oprah announced that she had not only become a member of WW, but she had also bought 10% of the company, becoming a board member and adviser. According to Oprah, she decided to join and later invest in WW as she had “always struggled with weight” and was impressed by WW’s “holistic approach” to health and wellness. Predictably, after this announcement was made, WW stock soared from $6.79 apiece to $13.92 apiece (a 105% increase), resulting in a $7 million gain for Oprah. Prior to the news of Oprah’s investment, WW had lost nearly 73 percent of its value in 2015. In one day, Oprah added even more millions to her millions and saved the company (at least for now) from decline. As a result of my sister’s numerous TV appearances, the texts, emails and calls from friends and family started pouring in. “Did you see your sister on GMA? So cool!” “OMG just saw your sister on ET – You must be so proud!” In all honesty, I felt just the opposite. Along with the myriad other diets out there, WW contributes to the damaging message that women (and girls) can only become “their best selves” if and when they choose to restrict what they eat and shrink their waistlines. The majority of my nutrition patients are girls and women who struggle with EDs, and these individuals are particularly susceptible to this message. With Oprah as WW’s new celebrity spokesperson, likely millions more women and girls will be influenced and the message that “you aren’t your true self until you lose weight” will be reinforced. I have always been a fan of Oprah, as I have seen her as a strong advocate for women, someone who has been through a lot in her life and who wants to help people, especially young girls and women, become their true and best selves. While the media often focused (and still focuses) on her weight gains and losses, I was always impressed by her ability to bring people together, inspire, and educate. Oprah is so much more than her weight! I don’t really blame Oprah for making this truly unfortunate decision – she is human, and she is not immune from the body-shaming, weight-loss messages the American public (especially women) receives on a daily basis. But I am disappointed that she is choosing to participate in and endorse a company whose sole purpose is to tell women that they are not enough, that their worth should be measured by a piece of metal, and that weight loss is the only way to find one’s true and best self. How depressing is it that this multi-millionaire who so many people look up to has been reduced to such a cliché? Her recent “I love bread!” commercials make me cringe. Really, Oprah? Really? I expected more from you. So, when I found out that my sister was Oprah’s personal WW consultant, I was disappointed. I knew that I would never hear the end of this, that my sister will likely be held in WW’s clutches until the bitter end (i.e. when Oprah eventually regains the weight and WW is forced to close their doors). Most recently, my sister was again in the spotlight as the big O actually crashed one of my sister’s WW meetings (to the awe and delight of her members) and recorded it “live” on Facebook. What followed was more attention and praise, which resulted in a high-profile interview with my sister featured in People magazine. Of course, our family’s and friends’ adulation of my sister has only increased, confirming that you’re nobody unless you’re the smallest version of yourself. It makes being around my family and our friends very difficult. Whenever the topic of WW comes up, I try to extricate myself from the conversation. Of course, this makes me look like a jealous jerk who isn’t happy for my sister’s success. It really is a no-win situation. The fact of the matter is that I really do love and care about my sister. I don’t wish her any ill will, and I want her to be happy and successful in life. In my heart of hearts, I am positive that she believes that she is helping people and is not coming from a place of malice. After all, her beliefs fall in line with what the majority of our society accepts as true – that our weight dictates our health. I can’t really blame her for taking the stance that she does. Our personal philosophies about weight and dieting are just so different (and unlikely to change any time in the near future), that it feels like we might forever be at an impasse. For that reason, I try to keep our professional lives and personal lives separate as much as I can, as we will likely never agree on it. In the meantime, I will continue to work on spreading the message of HAES®, trying to deprogram the harmful messages around weight and food, and hopefully helping to change society’s beliefs about all of it. I know that my voice is part of the minority. But I am hopeful that one day people will start to realize that dedicating one’s life to making oneself smaller is a colossal waste of time. One can only hope that people will figure this out sooner than later. 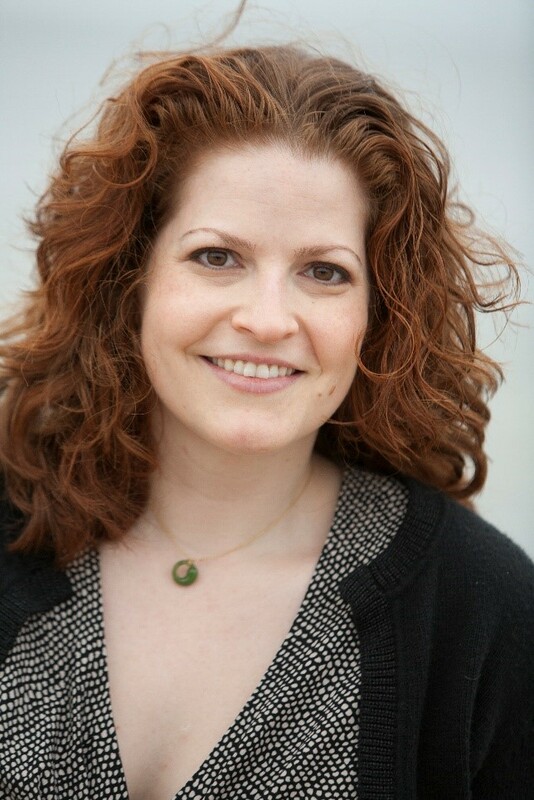 Joanne Soolman is a registered dietitian specializing in the treatment of eating disorders using a HAES® perspective. She and her husband, Jonah, co-own Soolman Nutrition and Wellness LLC, a private practice where they offer individualized nutrition counseling, in Wellesley, Massachusetts, USA. Posted on May 19, 2016 at 9:00 am in ASDAH	| RSS feed You can	trackback	from your own site.